Delbert Austin Sayre ( 03-06-1920 - 21-03-2010) born in Smithville, OH on July 3rd 1920. A member of Hq Company, 1st battalion 395th. The 99th Infantry Division received recruits from the ASTP program (Army Specialized Training Program, to make up for the personnel shortages in front line units during 1944. 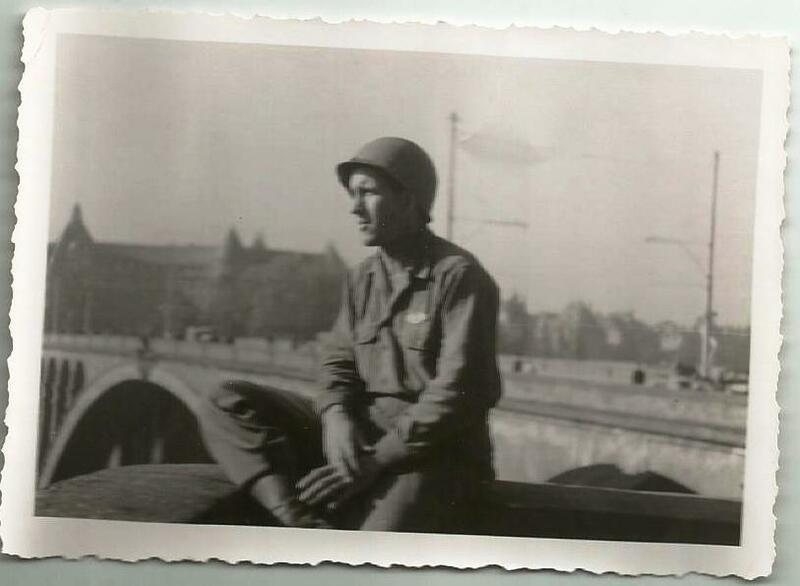 Delbert followed a communication training and became enlisted radio repairman. 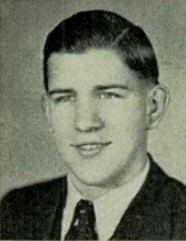 It is believed that Delbert was transferred to the 395th Infantry Regiment at some point. Further research is still needed to find out more about Delbert's service. 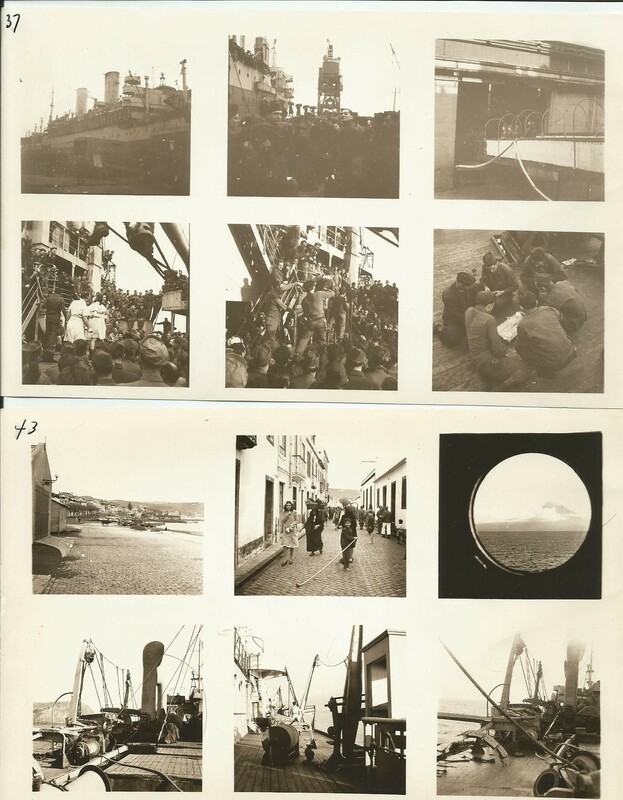 Several sets of photos from a ship and these are taken most likely during the ship wreck in the Azor Islands, January 1946. 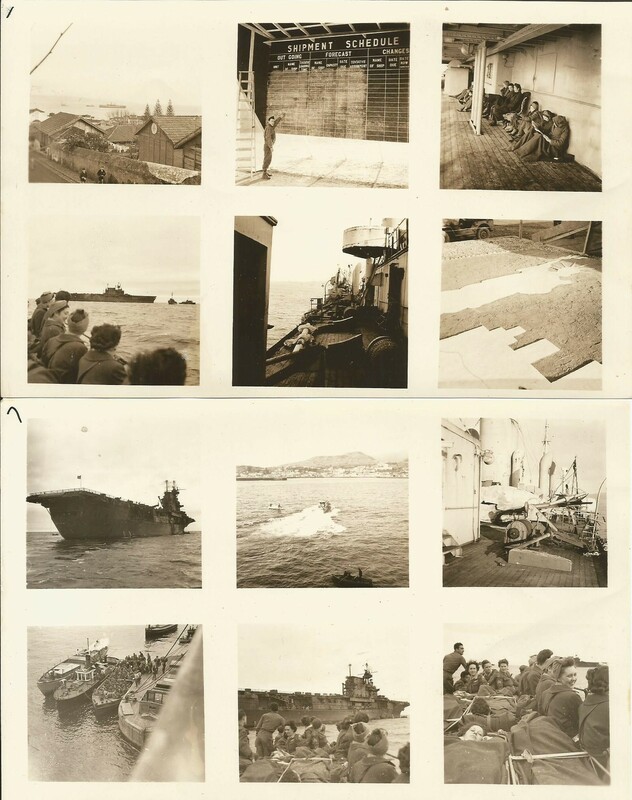 In early January 1946, I boarded a Liberty Ship (I think this was the name of those small war- built transports) as part of the 289 Combat Engineer Battalion headed for the good ole USA and civilian life once again. The 289th was just a shipment Unit for the troops headed home. The boat had about 900. A Major who outranked me by a few weeks was the troop commander. There were Captains and Lieutenants to assist in command duties needed. But no sooner than we had taken off for the USA, when the troop commander became drunk as a coot - so I had to take over! One of the returning soldiers was Billy Halop, of the Dead End Kids stage and movie fame. He was personable, well liked, and unassuming - a hit with all of the men. Two to four officers shared rooms. The men's quarters were much better than when we'd left for Europe. We were also grateful there was no military training, no kitchen police, and no physical training - just the wait to see The Statue Of Liberty and the train ride home! leak in a water compartment. We would stop for a repair of at least three days at the harbor of Sao Miguel, Porto De Ponta Delgada, a small resort port of the Azores, a group of islands in the North Atlantic Ocean. The little town (about 30,000 today) agreed that troops could come ashore in groups of 300 from 10 AM until late afternoon, but they were to be accompanied by 50 soldiers who would act as Military Police. Some would patrol the town with local police while others would be at the jail. A headquarters was set up to keep in touch. I think the ship was anchored in this harbour. It took several ferry boat trips to haul ashore the first day's 300 plus the MPs. It was so long ago I’ve forgotten the details. I think the the ship was so close to the dock and the ferry boat carried quite a few, so in no time, the first group was ashore. I was having lunch and mixed drinks with a couple of the officers in this bar at the Hotel "Terra Nostra," when two or three MPs rushed in to tell me the town police wanted the soldiers taken back to the boat right away. They were wrecking the town! Some were drinking a booze that made them drunk-raving mad. They were staggering around, insulting people, endangering the town. They were acting like drunken sailors on shore leave! They had to go. With the local police as guides and our MPs as escorts, we began to round up men to take them back to the boat. Oh boy! There were howls of protest from those not drinking, as well as from those on the boat who had not been ashore. The police led us into all areas of Sao Miguel including houses of ill repute, where a few soldiers were having a grand time with the ladies. Well into the night, we carried soldiers to the boat, repeatedly making head count to see how many were missing. Even after the boat was repaired and underway, we were not sure all were there! Count after count was made those remaining days at the port and after we left, until finally we knew for sure that no soldier had been left at Azores Island. 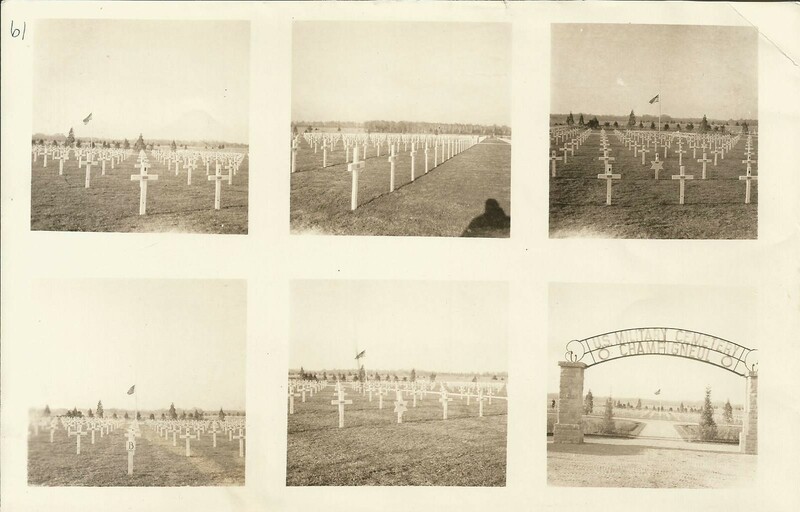 A last set of photos is from a temporary US war Cemetery, Champigneul was a temporary U.S. Military Cemetery, located near Champigneul-Champagne, about 15 km west of Chalons-sur-Marne in Northern France. Delbert must have visited the Cemetery at one point. Note: Chalons-sur-Marne was renamed Châlons-en-Champagne in 1998.